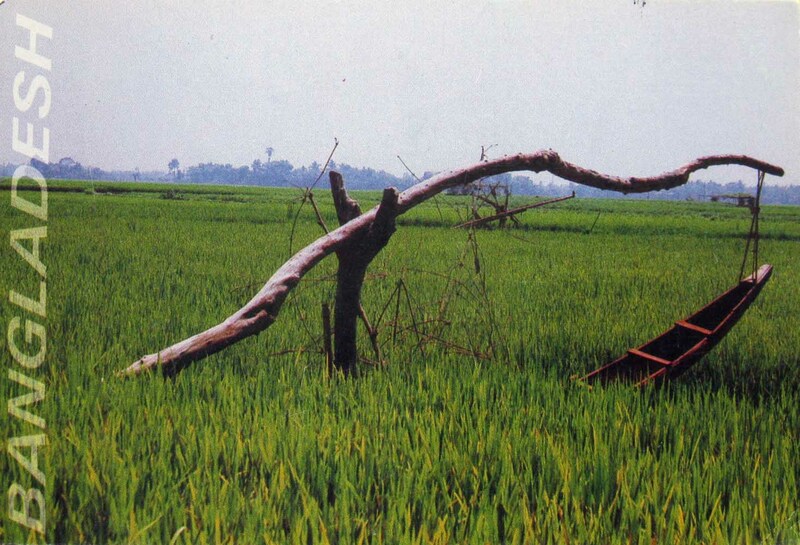 A paddy field is a flooded parcel of arable land used for growing semiaquatic rice. Paddy cultivation should not be confused with cultivation of deep water rice, which is grown in flooded conditions with water more than 50 cm (20 in) deep for at least a month. Genetic evidence published in the Proceedings of the National Academy of Sciences of the United States of America (PNAS) shows that all forms of paddy rice, both indica and japonica, spring from a single domestication of the wild rice Oryza rufipogon that occurred 8,200–13,500 years ago in China. Paddy fields are the typical feature of rice farming in east, south and southeast Asia. Paddies can be built into steep hillsides as terraces and adjacent to depressed or steeply sloped features such as rivers or marshes. They can require a great deal of labor and materials to create, and need large quantities of water for irrigation. Oxen and water buffalo, adapted for life in wetlands, are important working animals used extensively in paddy field farming.